There are two ways you can approach this. 1. 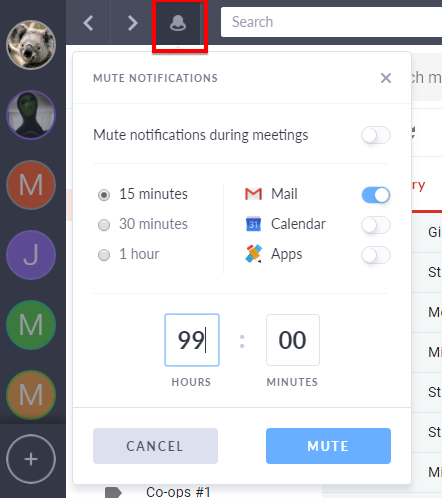 Mute Mail notifications from the top menu bar for a specific amount of time. 2. Go to Settings > Accounts > Turn off notifications for specific accounts and then go to Settings > General > Functionality and make sure 'Show notifications' is turned on.